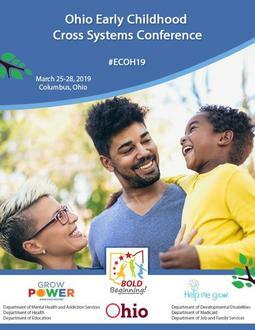 Registration for the 2019 Early Childhood Cross Systems Conference, to be held on March 25-28, 2019, is now open. For the first time ever, all six of Ohio’s Early Childhood state agencies have partnered together to offer this exciting conference. Cross-systems sessions designed to promote increased collaboration and improved outcomes for young children are among the highlights of the conference. Come and hear Ohio’s new state agency leadership share their vision for Early Childhood and participate in an interactive wellness fair. Visit the conference website to register now: http://ohec19.attendify.io/. We’re looking forward to seeing you there! Schools are preparing for kindergarten registration events and families are learning about kindergarten entrance requirements and options. The Office of Early Learning and School Readiness provides resources and tools for educators, families and children who are getting ready for kindergarten. Do you have a child, friend or relative who will be starting kindergarten in 2019-2020? Are you an educator or school administrator preparing for your kindergarten registration events for the 2019-2020 school year? The Ohio Department of Education’s Office of Early Learning and School Readiness has resources, tools, and information to support you on getting ready for kindergarten. Check out the updated Kindergarten Webpage to learn more about Kindergarten in Ohio, such as age requirements, education choices, instruction time and length of school year, screening and more. Review Kindergarten Entrance Frequently Asked Questions (FAQs) to learn more about kindergarten entrance and other important topics related to kindergarten. Visit our Getting Ready for Kindergarten Webpage for a handy reference in the areas of development that are important to helping young children prepare for learning. Read about Strategies and Recommendations to Improve Kindergarten Readiness. Learn more about Ohio’s Kindergarten Readiness Assessment and how teachers can use this tool to find out the learning needs of children entering kindergarten. Kindergarten is an exciting time in a child’s journey for lifelong learning. Please reach out to our office for further questions or additional resources to prepare for kindergarten. The 2019 Federal Poverty Guidelines are now posted. Early Childhood Education Grant administrators should use these new guidelines for any child that enrolls in their program after February 1, 2019. Chartered nonpublic schools can administer the Kindergarten Readiness Assessment (KRA) to enrolled kindergarten students. The materials, training and supports are available at no cost to any school that signs an agreement with the Ohio Department of Education. The law requires such a school to notify the superintendent of public instruction, no later than March 31, 2019, of its intent to administer the KRA for the 2019-2020 school year. To use the KRA in fall 2019, complete the survey questions here. Completing the survey does not commit a school to using the KRA in classrooms, but it will meet the requirement for notification and begin the next steps. The survey will remain open through March 31, 2019. Contact Sarah McClusky, assistant director of Curriculum and Assessment, with questions about the survey or Ohio’s Kindergarten Readiness Assessment. The Department will provide more details and resources to help schools with the KRA administration in April 2019. This notification is a reminder that Quarter Two of the biennium is coming to a closeJune 30, 2019. All completed Professional Development (PD) hours travel with the professional and remain in the professional’s profile, which is maintained through the Ohio Professional Registry (OPR). If a professional does not complete the required courses by the specified deadline, the program’s rating may be reduced to zero pursuant to OAC rule 5101:2-17-01. If you have questions regarding the OPR or the calculation of PD hours in the OPR, please contact support@occrra.org or 614-396-5959 or toll free at 877-547-6978. Visit the Ohio Child Care Resource and Referral Association (OCCRRA) page for more resources: https://occrra.org/our-resources-page/. #FutureReadyOH will offer multiple events at the Ohio Educational Technology Conference, Feb. 12-14 in Columbus, including two sessions of free training open to the public on Feb. 12 and several sessions around each gear planned for OETC conference registrants only. The target audiences for all events are district leaders, curriculum teams, principals, librarians and instructional coaches. Session II, 2-5 p.m., offers team preparation for those wanting more information about the five-step process and will be a valuable session for collaborative leadership teams. 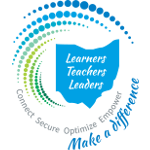 OETC conference registrants may attend additional #FutureReadyOH events offered during the conference. Find more information about the sessions on the OETC website. For answers to additional questions about these events or the #FutureReadyOH program, email Stephanie Meeks. Register at the link below for February 12 sessions. Please register whether you are attending one day only or the full conference. Participation will be limited to those who have registered. *Note: The ORS maintenance for January will begin Friday, January 11, at approximately 7:30 p.m. and conclude by Sunday at 9 a.m.
Saturday, January 12, beginning at 9 a.m.
Saturday, February 9, beginning at 9 a.m.
Saturday, March 16, beginning at 9 a.m. This message pertains only to districts and schools using devices with macOS 10.13 and 10.14 to administer online tests; all others may disregard this message. AIR has completed the review of macOS 10.14 and determined a new secure browser is required to support this new operating system. Additionally, a security issue has been discovered for macOS 10.13. To allow support of 10.14 and to resolve the security issue in 10.13, Mac Secure Browser 10.6 will be available beginning on Monday, November 26. Devices running macOS 10.9 to 10.12 may continue to use the current Mac Secure Browser 10.3. Beginning on Monday, December 3, Mac Secure Browser 10.6 will be required for devices running macOS 10.13 and 10.14 to access the secure student testing site. If you have any questions about this information or need assistance with installing the secure browser, contact the Ohio Help Desk at 877.231.7809 or ohhelpdesk@air.org. The Every Student Succeeds Act (ESSA) requires each district or community school to complete and submit a justification when it anticipates testing more than 1.0 percent of students with the Alternate Assessment for Students with Significant Cognitive Disabilities. If your district anticipates testing more than 1.0 percent of your students with the alternate assessment in 2018-2019, you must complete this justification. The Ohio Department of Education will review justifications submitted by each district or community school. The Department is required to post and make publicly available all justifications received. To assist in the process, a template of the justification is available here. Note that this PDF template is only a tool to help you prepare your justification. All justifications must be submitted on the Ohio K12 Help Portal here. The Department sent an email to the special education contact and/or director on record for districts and community schools in the Ohio Educational Directory System notifying them that district superintendents have received an email with the district’s secure link to the portal. The deadline for submitting this justification is December 10, 2018. If you have any questions about calculating participation, please contact accountability@education.ohio.gov. If you have any questions about completing the justification and other questions about the 1.0 percent participation threshold, please contact AAparticipation@education.ohio.gov. It has been noted that the text on certain Chromebooks is not wrapping properly with paginated stimuli turned on. If you have this occurrence, please have the student log out of the test and turn off paginated stimuli for the student testing on that device. AIR is currently working on a permanent solution for this matter and will advise when this has been remedied. We apologize for the inconvenience. The Ohio Department of Education (ODHE) is pleased be able to share with school districts specific, limited information about the students that have completed the FAFSA form. We have partnered with the Management Council of the Ohio Education Computer Network (MCOECN) to provide data through a secure web portal at https://www.ohio-k12.help/fafsa. Superintendents of public districts and community schools received information on accessing their student data. A required electronic data sharing agreement is available on the portal. Access to student data will be available within 5 minutes after submitting the agreement. You will receive an email confirmation. Updates to student data occur every day at 7:00 am. Because the timely completion of a FAFSA form is an essential step for many families in obtaining financial aid to pursue a postsecondary education, the FAFSA Completion Initiative will enable school and district partners to identify those students who have not filed a FAFSA form and better target counseling, filing help and other resources to those students. These efforts can promote college access and success by ensuring that students, particularly those with a low family income, have access to financial aid to fund their education. Ohio K12 Help Portal (ohio-k12.help) is emerging as a statewide site for Ohio districts and schools to submit support requests. Over time, it will offer request routing for Ohio’s New State Testing program PBA and EOY. It will be another option in addition to using support channels for Pearson/PARCC, AIR and the department (ODE). The goal of this portal is to reliably route requests in a consistent form to the appropriate support organization. and improve customer experience and effectiveness for districts and schools over time. The department expects to better to plan for program improvements and service support demands. Support request processing for other K12 statewide programs are expected to be available including ODE Roster Verification, Ready for Kindergarten Assessment and Early Learning Assessments. Ohio-K12.help is a collaboration between the Ohio Department of Education and The Management Council of OECN.